I hate rubber grips. They get dirty, get scratched, and finally they crumble. Some of the bad rubberised surfaces become sticky after a few years. Luckily Staedtler seems to use better quality rubber, so I haven’t noticed this problem yet with a Staedtler product. The 925 15 has disadvantages for my use, e.g. 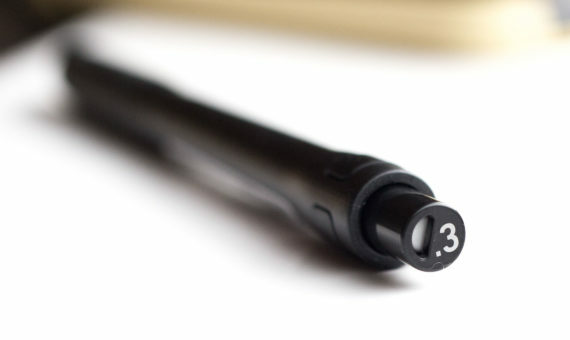 it is difficult to put in a loop, but I really like the look of this pencil.